As we're saying goodbye to October (where as the month gone, by the way?) 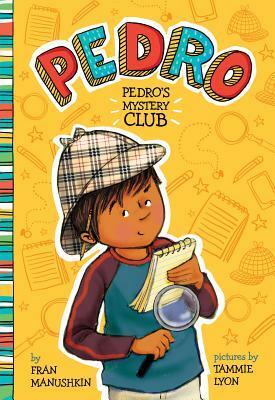 we say a big "Hello" and "Howdy" to the new 2013-2014 Texas Bluebonnet Award Master List! The books found on this list will be voted on by children across the entire state of Texas in January 2014! For those who are curious about the vote that will happen in January 2013, view the 2012-2013 Master List here! Aguirre, Jorge. 2012. Giants Beware! Illus. by Rafael Rosado. New York: Firsdt Second. Applegate, Katherine. 2012. The One and Only Ivan. Illus. by Patricia Castelao. New York: Harper. Burg, Shana. 2012. Laugh with the Moon. New York: Delacorte. Chin, Jason. 2011. Coral Reefs. New York: Roaring Brook Press. clifton, Lutricia. 2012. Freaky Fast Frankie Joe. New York: Holiday house. Fem, Tracey. 2012. Barnum's Bones. Illus. by Boris Kulikov. New York: Margaret Ferguson Books. Grandits, John. 2011. 10 Rules You Absolutely Must Not Break If You Want to Survive the School Bus. Illus. by Michael Allen Austin. Boston: Clarion Books. Harris, R.P. 2012. Tua and the Elephant. Illus. by Taeeun Yoo. San Francisco: Chronicle Books. Kalman, Maira. 2012. Looking at Lincoln. New York: Nancy Paulsen Books. Lorenzi, Natalie Dias. 2012. Flying the Dragon. Watertown, MA: Charlesbridge. MacLachlan, Patricia. 2011. Waiting for the Magic. Illus. by Amy June Bates. 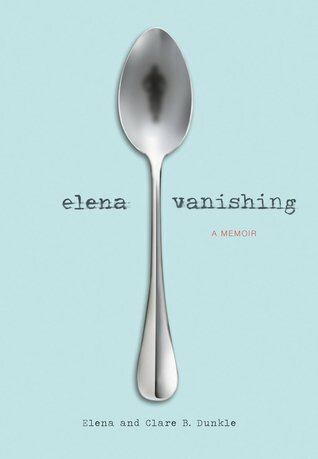 New York: Atheneum Books. Mlynowski, Sarah. 2012. Whatever After: Fairest of All. New York: Scholastic. Neri, G. 2011. Ghetto Cowboy. Illus. by Jesse Joshua Watson. Summerville, MA: Candlewick. Palacio, R.J. 2012. Wonder. New York: Alfred A. Knopf. Potter, Ellen. 2012. The Humming Room. New York: Feiwel and riends. Scattergood, Augusta. 2012. Glory Be. New York: Scholastic. Shannon, David. 2012. Jangles: A BIG Fish Story. New York: The Blue Sky Press. Sherry, Maureen. 2010. Walls Within Walls. Illus. by Adam Stower. New York: Katherine Tegen. Sweet, Melissa. 2011. Balloons Over Broadway: The True Story of the Puppeteer of Macy's Parade. Boston: Houghton Miffin. Varon, Sara. 2011. Bake Sale. New York: First Second. 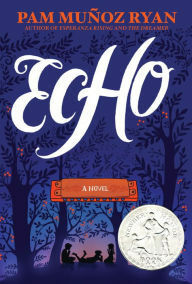 If you would like to read the official Annotated 2013-2104 Master List to learn more about each title, please follow the link here to visit the Texas Bluebonnet Award webpage. While you are there, you much check out the wonderful photo of Adam Rex, Jon Scieszka, and Mac Barnett as Robin, Batman and Robin as they announced the new list! Do you seen any titles that you're excited to see on the list? I'm sneaking in my adorable Polka Dotty Monster for this Flannel Friday. This is actually a sneak preview of my Monster Mash storytime activity that I'm doing this coming Monday. 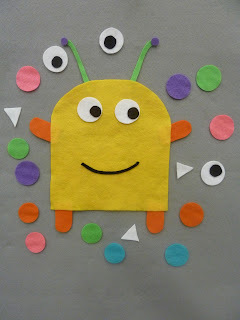 About a year ago I fell in love with the felt monsters that Jen shared on her blog Nifty Thrifty & Thriving (the pictures of which were pinned on a Flannel Friday Pinterest board), and new that my next Halloween program was going to revolve around monsters just so that I could make one! It was tough decision on which one to go for, but I'm a sucker for smiley creatures! So far there is no rhyme attached to little fellow-who-deserves-a-name. All the children will have to do is decorate him with his polka dots, extra eyes and teeth to make a not-so-scary monster. The toddlers will love it! Polka Dotty Monster waiting to be decorated. My fellow Children's Librarian said that all he had needed was a pair of overalls and goggles and he could become a Despicable Me minion! Even he could have his very own Halloween costume! I'm curious to see how many children will see the similarity on Monday. Ooooh, not-so-scary Polka Dotty Monster! 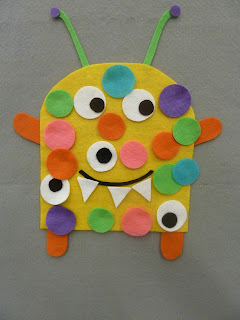 If anyone has an idea for a rhyme or a song to recite during our fun monster decorating, please share it with me in the comments below! This week Flannel Friday round-up is hosted by Lisa on her blog Libraryland. To learn more about Flannel Friday and ways to get involved, please visit the official Flannel Friday blog! I've been working on updating a number of bibliographies for my library system. Additionally, I've been asked for book recommendations on several occasions when I'm outside the library. Thus! Here is the first installment of what may be a series of recommended books according to age and grade. Wish me luck in finishing it all! For those who curious, Toddlers are children between the age of 18 - 36 months (aka 2.5 - 3 yrs old). Bright, colorful and clear pictures are still highly recommended for these little ones, but introduction to more complex illustrations is also a must because it allows the children to explore and see new things. Rhyming text or text that has a rhythm to it are also a huge hit. As part of developing Early Literacy skills, when you read with your child (1) point out the things on the page, (2) ask them questions, and (3) let him or her touch the book and help turn the pages. Have fun exploring these books! The Jungle one is so much fun! Brown Bear, Brown Bear What Do You See? written and illus. by Bill Martin Jr. 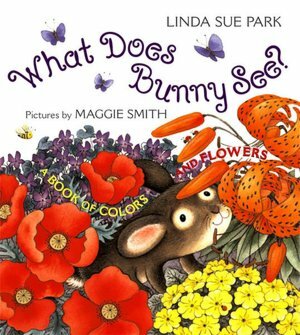 Does anyone have any recommendations or favorite books that they have shared with toddlers? This flannel board was inspired by Nicole over at Narrating Tales of Preschool Storytime and her Five Little Jellyfish rhyme. For my storytime about visiting magical places, the children and I went to the ocean to do the rhyme Five Little Starfish. The children loved doing this one, especially when we get to the starfish that takes a ride on a seahorse! For a template, I simply found a starfish clip art to use. I made two extra just because I couldn't resist, which turned out to be a good thing because all of my regular storytime children who sit up front really wanted to help put them on the board and I had just enough for all of them! This made the reciting of the rhyme interesting at first, but then you realize... this is a perfect time to introduce some subtraction math skills! All I had to do was place the two extra ones in a corner and ask the children how many do we have left if we don't count the ones in the corner, and they got it! Awesome! For my storytime this week we visited Magical Places. When it comes to planning a storytime like this I find that any book about fun places would work. The Zoo. The Jungle. The Ocean. Your Own Room. However, I managed to find books about other imaginary places. The children loved all the stories, especially the preschoolers. A zoo can be a magical place because of all the animals! My favorite memory of reading this book is during to the page where the chameleons/lizards are and a little boy's face lit up and his eyes grew into saucers and mouth as round a moon! Oh, be still my heart! I consider this book a "magical place" book because it shows us how a world has lots of dots (or circles) all around. After reading the story I asked the children to help find dots in our storytime room. We found that our globe, rotary fan, speakers of the CD players were made of dots. This is one of my new favorite books. If a place where all the animals go to roller skate and fly in the air isn't magical, then I don't know what is! 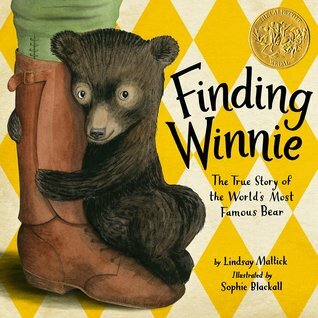 I love this book and most of the preschoolers had never heard or read the book before! I wish the book was bigger so that the illustrations were more seeable. If I had a humongous white board in my storytime room I would've drawn the entire story! But I was inspired by Erin on her blog LibrErin to simply draw a moon on a sheet of paper at the beginning of the story then drew a window around at the end of the story. 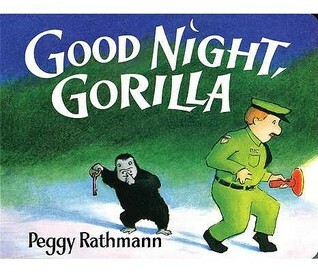 We sang this book as part of our in-between-stories song. The jungle can be a magical place too! As a flannel activity to connect with the book Lots of Dots, I simply rolled different colored felt through a penny die cut (a die that has four different sized circles) to make all my dots. I then used a leafless tree die cut and cut out little strips of green to use as flower stems. The children had the fun opportunity to create their scenery filled with dots! This flannel board was inspired by Nicole over at Narrating Tales of Preschool Storytime. She had done Five Little Jellyfish for a Flannel Friday last year that had a really nice rhyme. For our visit to the magical place deep under the sea I took this rhyme and changed it from jellyfish to starfish. The children loved doing this rhyme. I had made two extra just because I couldn't resist, which was a good thing because I needed one because the preschoolers who sit up front all wanted to put a starfish on the board. It made our reciting of the rhyme interesting since we had an extra one the board, but it became an excellent moment to learn about subtraction by one! Egg shakers. Need I say more?! Bubbles were another tie in with Lots of Dots. The toddlers :: LOVED :: it! The toddlers got to exercise their artistic temperament on a bubbles coloring page. In addition to coloring they also had the opportunity to glue circles onto the page. To tie into the amazing book Harold the Purple Crayon the children got to create their own world with a single sheet of paper and a single purple crayon. At the top of the page they could add their name to make their own title. One little boy drew a robot that he could go into and control, and one girl drew a dog that her family will eventually get. Lots of pictures this time! In my little purple crayon world I'm petting a teeny tiny baby giraffe! Hi Everyone! My flannel board this week is very simple. I did an Amazing Animal storytime theme last week, and I had made a chameleon for the children to adorn with wildly colored shapes. This flannel activity was pretty much inspired by the new book Who Am I? written by Gervase Phinn and illustrated by Tony Ross. For those who aren't familiar with this book a little chameleon hatches from an egg and it doesn't know who he is and where he came from. He plods along and meets all sorts of animals to question about his origin. Every time he meets an animal the little chameleon will change colors and patterns to match the new stranger. It's a great book! Created by Dorothy WP-CC, 2012. To make this flannel board I found this chameleon printable online to use as my template for the body. Then I simply cute circles, rectangles and triangles out of fun animal print felt (why just use plain simple color felt when you have animal print felt?!) for the interactive pieces. The body of the chameleon is about 12 inches in length and 7 inches tall so there is plenty of room for gobs of shapes. The toddlers pretty much went at it when I gave them their shapes, but the preschoolers took turns putting on their two shapes. Another fun way of doing this is having an larger example of each shape and asking the children who had a matching shape to come up and put the piece on the chameleon. The preschoolers loved this flannel board as much as the toddlers did. Some pointed out that (after we went through the book Chameleon, Chameleon) chameleons really can't do animal prints in real life, but it was fun to use our imaginations so that the creature could. This week's storytime was about amazing animals. In truth, however, all animals are amazing, and it was definitely hard to pick books outs for this program. I ended up with books that I had picked based off the illustrations or the photographs. The children definetely enjoyed the program, especially the school-age children who had the day off (it's Fair Day up here in the Dallas area, folks!). How can you not read this book with an "Amazing Animals" theme. My toddler storytime consisted of new grown ups and toddlers who have not heard this book. It was a wonderful thing in the sense that I introduced them the book with my library's big book copy. This is just a simple little book about baby animals who love their mommies. Mom and grandmas chuckled when I asked the little ones of they were licked clean or if they took a bath. Though the text is really simple, I did read it out loud. For Toddler Storytime I showed all the pictures and called out the colors of each of the animals. For the Preschoolers I picked the coolest pictures to show, such as a dolphin and seal. They were wowed at the fact that a flamingo turns pink because it eats shrimp! I really only showed the photos that are found in this is a nice nonfiction book about real chameleons and how they act in their habitat. The photos show a chameleon up close and its subtle changes in colors. It also shows geckos that are in camouflage too. For anyone picks up the book, I hope you love the stance the chameleon is in when he creeps by a scorpion! The children loved how the uses his long tongue to catch his dinner! I love Rayner's illustrations and the treatment that she did when creating Solomon. The children got a kick out of saying that Solomon shouldn't pick on a big hippo! This is a fun new book that my library received not too long ago. The children thought it was fun that the little chameleon would change colors to match the different animals he encountered when he was on the quest of finding out who he is. It's always fun to see all the little ones and the not-so-little ones dance and move while we shake our eggs. I showed a number of puppets as part of the animal show and tell. One was a large caterpillar that turns into a butterfly, the amazing tortoise puppet from Folkmanis, and Frankie, my adorable elephant puppet. The children loved them! I made a simple chameleon body from a printable I found online. I then made little triangles, rectangles and circles from special animal print felt. The Toddlers and Preschoolers are got to spend time putting the shapes on the chameleon to make a very fun looking creature. This is just a simple coloring page with the classic saying and the toddlers got to glue a brown bear (courtesy of a new die cut!) and color! The preschoolers got to make a beautiful picture of a lizard (a chameleon or a gecko, take your pick) among some branches and leaves. The special thing about these pictures is that they got sparkles! The children got to glue sequins to the body. By the way, I :: love :: this new lizard die cut my library received. It's so cute! I wish my my camera would give my sparkly lizard better justice in it's color. Toddler Craft, Created by Dorothy WP-CC, 2012. I would have read this book for Toddler Storytime if I hadn't discover that due to it's well-loved-and-read-and colored-upon copy wasn't quite in the best storytime condition.